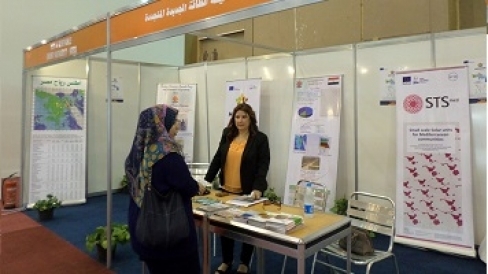 On December 4, 2014 New and Renewable Energy Authority (NREA) represented MED-Desire project in the Solar Energy Investment and Development Conference “SEIDC”, held at Cairo International Convention Centre (Egypt). SEIDC is one of the most important conferences dedicated to the solar energy industry in Egypt, a great opportunity to shape policy, financing mechanisms, exchange knowledge, network with peers and form business partnerships among the solar energy sector. The 2014 edition of SEIDC was organized alongside the 24th International Power, Energy and Security Forum, which is backed by 23 years of experience in developing and introducing the latest technologies for the power, energy, security, automation and smart grid sectors. This makes it the right choice for manufacturers, system integration, consultants, government officials and decision makers to exchange experience from the four corners of the world. SEIDC objectives were consistent with the goals of MED-DESIRE. The Egyptian fair has been an excellent opportunity to introduce the project to a diversified audience and raise awareness on distributed solar technologies, solar water heaters and rooftop photovoltaic systems.